My team getting ready to play. We enjoyed warmer weather this past week. It warmed up to 60 a couple of those days. That allowed us to get outside. The boys really needed to burn some energy. They enjoyed getting their bikes out, which required an hour of bike repair for me. They played basketball and soccer, and Arianna and Lilia even joined in at times. We also were able to work some more in the garden. We should soon be able to plant a few things. Lilia takes a self portrait. Last week, I put a lot of time in the office. I prepared several things for the Bible study, handouts and future lessons. Also, I prepared for leading the services in Carcassonne on Sunday morning. We did enjoy the Bible study last week. One couple came and we finished up John 8. Arianna was impressed by the stack of cans. By Friday the weather had turned rainy again, so I didn't make it to the market. Angie was able to get out several times last week. She visited with the neighbors, walked, and exercised with some friends. Saturday evening we spoke with Lauren, who will be arriving in September to work with us. We had a good talk and are really looking forward to working with her. Sunday services went well, we had several of our recent contacts from Limoux, come for the services. My part of the services went well. I enjoyed it, at least. 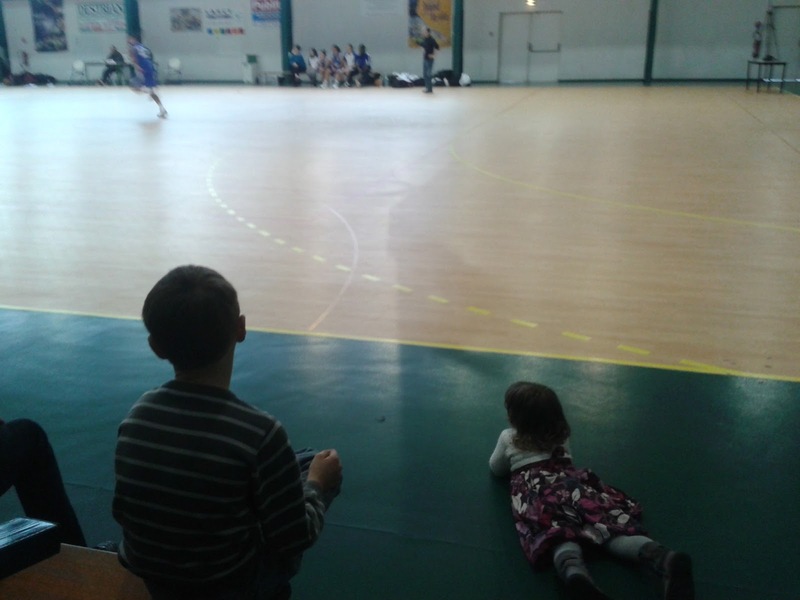 Sunday afternoon, my basketball team and I had our first tournament. We played three games. We lost all three, but not by much. My team did well. Lilia stayed home with Arianna so that Angie could go and meet people. She was blessed to find a seat beside a young lady, who ended up reading her Bible. Angie had a good conversation with her, they ended up being baptists. I was proud of my team, they showed good progress, especially Andrew, who managed to dribble, steal, get rebounds, and shoot. Monday, I attended a meeting of churches in Toulouse. I had a good time and learned about some new ministries that are available to churches here in France. I enjoyed the fellowship and was able to share about our upcoming basketball outreach. A spider web glistening in the morning sun. Walking back from the bike race. After such a good start last week, with the occasion to share our faith one on one, with Angie sharing about the Bible with her language group, we were a little watered down when no one was there for the Bible study, but Angie enjoyed having a quiet moment to share about the days events and the future. Saturday was filled with kids activities. I walked Caleb and Arianna down to see a bike race in town, but we arrived just as the bikes passed. We had fun all the same. There were only four kids present for basketball. Sickness, the weather, traffic, were all excuses that I heard. Andrew was out at a birthday party. That was a neat story in itself. Tuesday Angie sent a text to a lady we met at the kids old school that she hadn't talked to in a while. Angie wanted to get together with her some time. The lady wrote right back offering for Angie and Andrew to come to her daughters birthday party on Wednesday at McDonalds. Andrew had a great time playing with the friends from his old school, and Angie got to reconnect as well. At our basketball that evening, there was a new player that I was able to introduce myself too. Lilia participates at the youth meeting. On the way to Bordeaux. Thursday, had a good language session, and got some paperwork done, as well as a couple of household projects. Friday morning, it was raining, so no market. I has rained a lot this winter. My friend who has a small ranch, mentioned that his ground has been mud for over a month (foreshadowing). 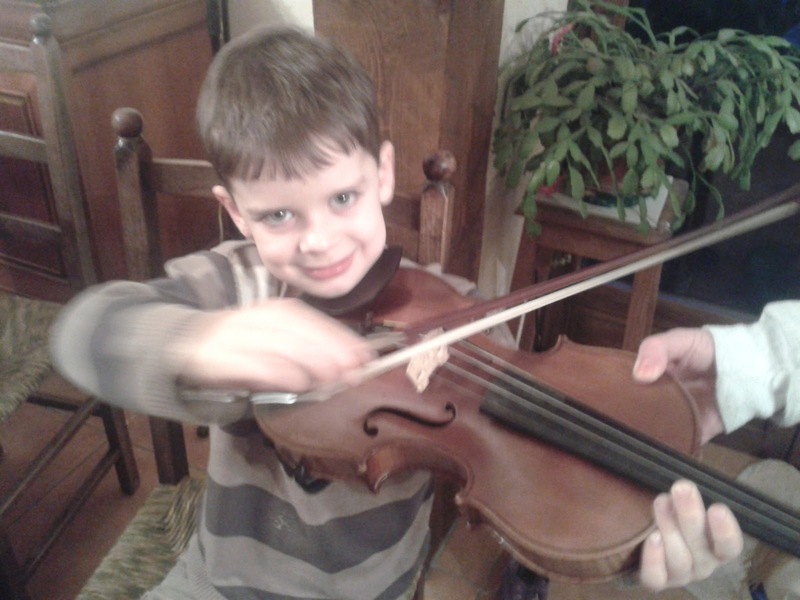 Andrew tries out the violin of one of our new friends. Arianna and Micah watch the basketball game. The only problem with blogging once a week, is that I really have trouble remembering all that has happened the past week. At the Bible study last week, we had a good discussion about the invitations I am preparing. It is always good to have the feedback of those familiar with the culture. We had a good discussion, we ended up speaking about the future of our work here: what we are trying to accomplish, how we need to get there, what are the next steps. It was a good time to reflect on the past and look forward to the future. I shared with the group how I feel that this is a key year. 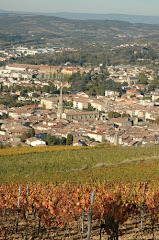 The past three years in Limoux have given us many good contacts. We are feeling more and more at ease with the culture and language. We have a big basketball outreach coming up in June. We also have a young lady coming to work with us for two years, who will be arriving in September. Also we realized that three of the people who regularly attend our Bible study are also new to this area. They also had to get established and have been making new friends. I scored 130 and won a free pen. The boys got out all their cars.